*Update: Arenberg's book 'Congressional Procedure' has been named a Foreword INDIES 2018 Book of the Year Finalist [https://www.forewordreviews.com/awards/books/congressional-procedure/] . * Richard Arenberg knows the inner workings of Congress better than almost anyone. He spent over 30 years on Capitol Hill as senior staff for Senators George Mitchell, Carl Levin, and Paul Tsongas. Today he’s a Visiting Professor in Political Science at Brown University, and a Senior Fellow at the Watson Institute [https://watson.brown.edu/people/fellows/arenberg]. 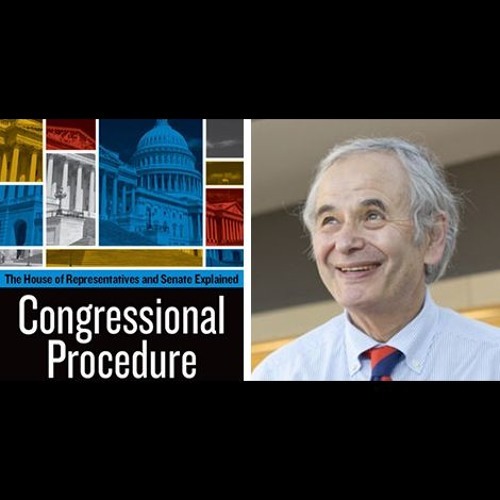 His new book, 'Congressional Procedure' [http://www.thecapitol.net/Publications/congressionalprocedure.html], explores one part of Congress that we often overlook: its rules. Part history, part rule-book, and part manifesto, Arenberg’s book makes clear how these rules are more than just formalities. On this episode of Trending Globally, Sarah talks with Arenberg about why Congress’s rules matter, why so many people call Congress ‘broken,’ and how it might save itself going forward.